It’s time for the third annual “Bee the Hive” No-Fuss Fundraiser. Our goal is to raise $5,000. All the money raised will go directly to fund programs that help our students! Please contribute any amount you can. Every donation makes a difference! We also encourage you to see if your employer offers a matching grants program. The PTA will be collecting donations through Friday, November 2. Contributions are tax-deductible, and letters verifying your donation can be provided upon request. 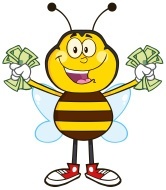 Donate today and Bee The Hive! Posted by Herndon PTA Secretary in Fundraising.